Beatles International is a website dedicated to the Beatles and Beatles -related events/information. COME AND SEE US IN LIVERPOOL DURING INTERNATIONAL BEATLEWEEK FROM 22 - 26 AUGUST 2019 ! NEW : create YOUR OWN Liverpool Tour! the CEMETERY and the SITE OF THE MUSIC SHOP where John took the mouth organ on their way to Hamburg. (when it's open, you'll get to see the inside). 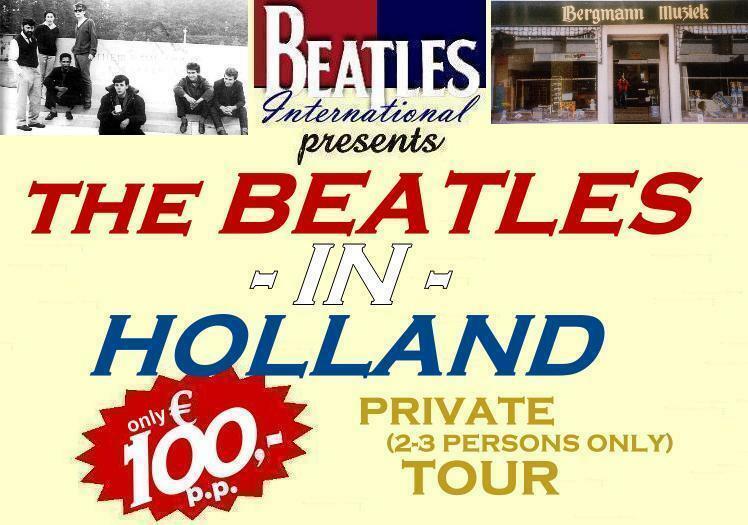 BEATLES INTERNATIONAL now offers a very special '1-day-private-car tour'. A great addition to your holiday or just a nice short trip! Book any day you like! For details go to our 'NEWS' section and click on the 'BI' sub chapter button. Keep up to date with the latest Beatles news in the News section (and our own exciting adventures in the BI sub-section). In the Events section you can check out where to meet up with Beatles International at Beatles conventions and record fairs. In the Releases, Movies and Books sections you’ll find reviews of the latest movies, books, CDs and DVDs. Beatles International has spoken to many interesting people, like Klaus Voormann, Brian Ray, Rusty Anderson, and Dutch rockers Golden Earring, so don’t forget to read our Interviews. If you want to keep in tune with all things Beatles in Liverpool, Hamburg, or London, read about specific news, see some rare photos, or find out about tours in these cities, then visit our city pages with sub-sections. have fun at Website Beatles International !